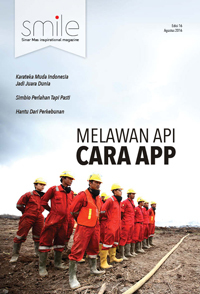 Sinar Mas believes that its business success depends on the opportunities given by the communities it operates in. Therefore, Sinar Mas acts as a responsible corporate citizen; it complies with all applicable laws and regulations and it respects the cultures of the host communities. 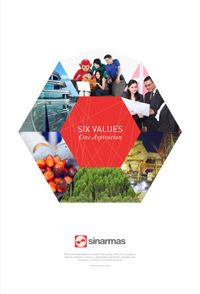 Sinar Mas offers value to consumers through quality products and services. By improving the quality of life of the employees, Sinar Mas provides satisfactory returns to stakeholders and further strengthens its foundation to build a better future for all involved in the process. Our vision is a balanced approach towards three pillars of sustainability; economic, environmental and social. Our business practices are based on accountability, transparency, respect for stakeholder interests and ethical behaviour at all times. 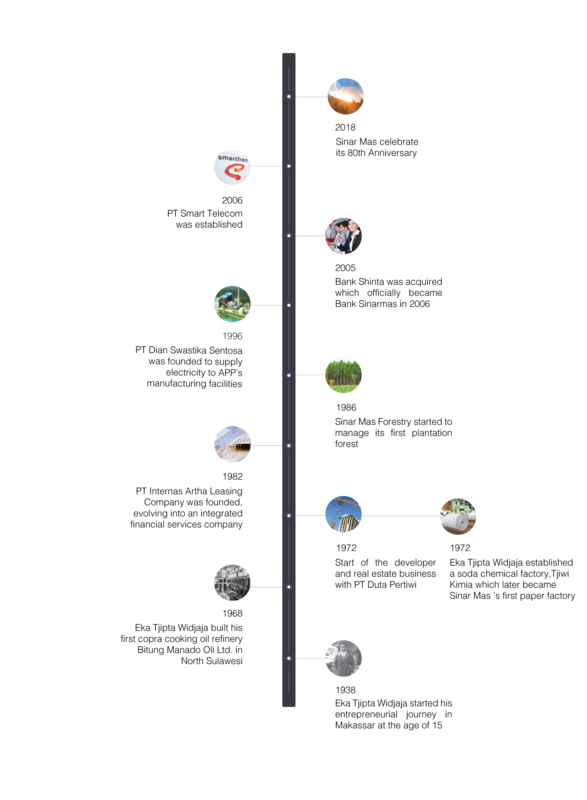 In 1938, Eka Tjipta Widjaja developed on his business from a humble beginning. He started as a small trader in Makassar, Indonesia in coconut oil and other commodities. Later on, he continued to cooking oil production. During his early days, Eka Tjipta experienced various challenges, with patience and conviction, he developed his business network, and most importantly, he gained support and credibility from his fellow businessmen. The initial investment of trust, not money, helped him to grow his business even in difficult times. Hard work and perseverance helped him in growing a diversified business with a multinational outlook that is now known as Sinar Mas.